Aren’t you convinced of the farming system of Minecraft? Then check out this mod! 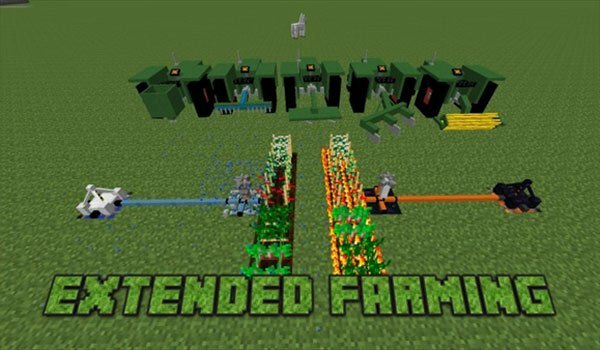 Extended Farming 1.7.10 is a mod its objective is based on improved farming system of the game, adding new crops and machinery to work and improve the performance of both our fields of crops and our efficiency to work the field. The mod adds new crops such as peas and beans. Irrigation systems as pumps and hoses. But perhaps what most attracts attention is the tractor. Yes, now you can plant and harvest your crops using a tractor. This tractor can use different tools or extensions to work on crops faster. 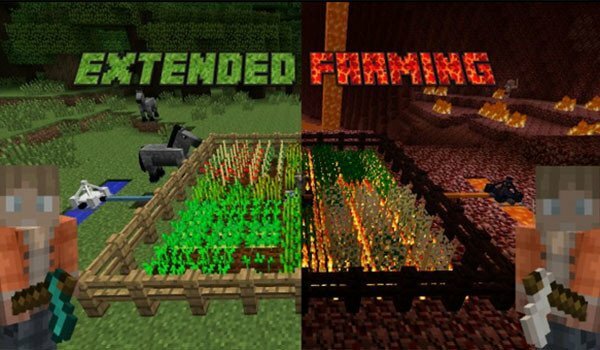 How to install Extended Farming Mod for Minecraft 1.7.10? Tractors and tools to improve efficiency in Minecraft agriculture!